Congratulations to Anne Cassin & Liz Bosley-Sharpe, the latest group to pass our Initial Franchisee Training course. 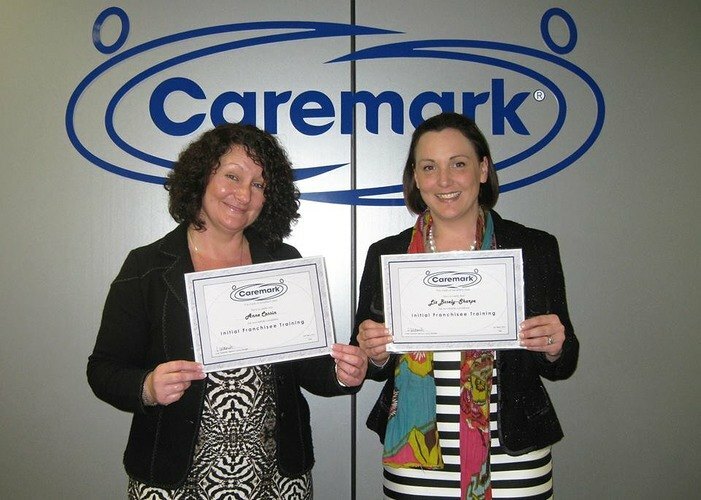 The course, run by National Training Manager Lynda Goldsmith, gives franchisees and support staff a comprehensive knowledge of home care and the Caremark system. Ms. Bosley-Sharpe is joining the Head Office support team as Regional Support Manager for the Midlands, while Ms. Cassin will be opening her Caremark franchise in Dublin.